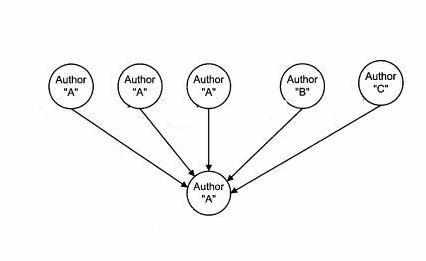 A patent granted to Google today shows how the search engine might analyze how "affiliated" pages or sites are to each other, and how their degree of affiliation might influence the amount of weight passed along by each link. We don't know if Google is using this method or not, but it is possible that they are. The patent was originally filed in 2004, and its inventors include Krishna Bharat, who amongst many other things invented Google News, Amit Singhal, who is Google's present Head of Search Quality, and Paul Haahr, a co-inventor listed on a number of Google patents including one on Information Retreval based upon Historic Data, another on identifying meaningful stopwords in keywords, how multi-stage query processing might happen at Google, and how query refinements might be identified.